This past weekend Rainbow Kitten Surprise sold out the Ritz both Friday and Saturday night. We were fortunate enough to have our photographer, Madelyn Blair, land a photo pass . As can be expected of RKS, they brought an amazing and energetic show. I first saw Rainbow Kitten Surprise back in the heyday of Local Band Local Beer, when Tir Na Nog was still around and you could drink on the sidewalks downtown. I hadn’t heard of them at that point, and one of the people I was drinking with tried to order a Rainbow Kitten Surprise from the bartender. To our surprise they were the band playing behind us. We had a good laugh over the name, which I later found out came from the post surgery babblings of a friend of the band. It is sad to say that the days of RKS playing in intimate settings like Tir Na Nog are behind them. If you have ever seen them play you can imagine the power of a performer like front man Sam Melo being packed into a restaurant and bar. His stage presence is as dynamic and moving as the music itself. Don’t let his lumberjack beard fool you, he is as light on his feet as a wood elf. In the years since then, Rainbow Kitten Surprise still hasn’t found a venue that can contain their energy. 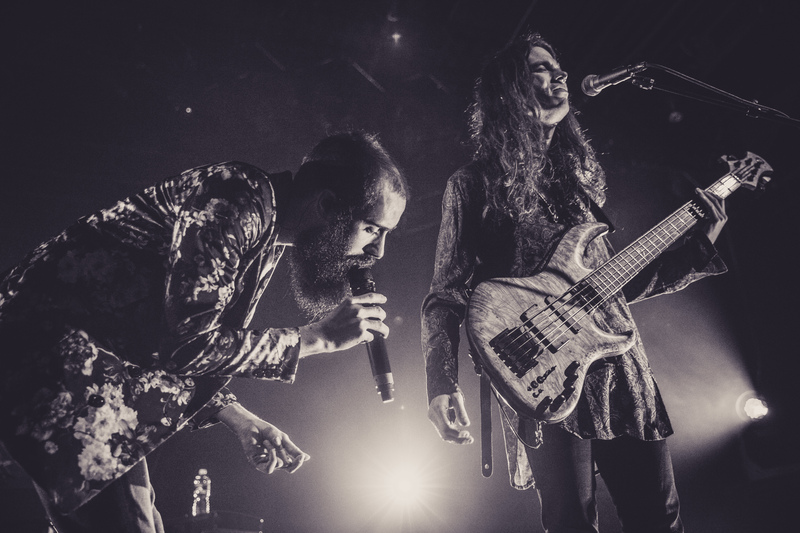 They have played all over the country and blown away crowds at a myriad of different festivals, such as Shakori Hills Okeechobee, and Bonaroo, just to name a few. Fortunately, they haven’t spent all of their time touring, and have produced a new album in 2018, How to: Freind, Love, Freefall (embedded below). I am usually slow to fall in love with a new album, especially if I am familiar with the band. This album, however, was easy to love. RKS has stayed true to their unique style and put out another powerful and on brand album. They haven’t let sold out show after sold out show go to their head or change their sound. They are still the same band that tore up Tir Na Nog years back, but years of experience have added a good deal of depth and complexity to there songs.